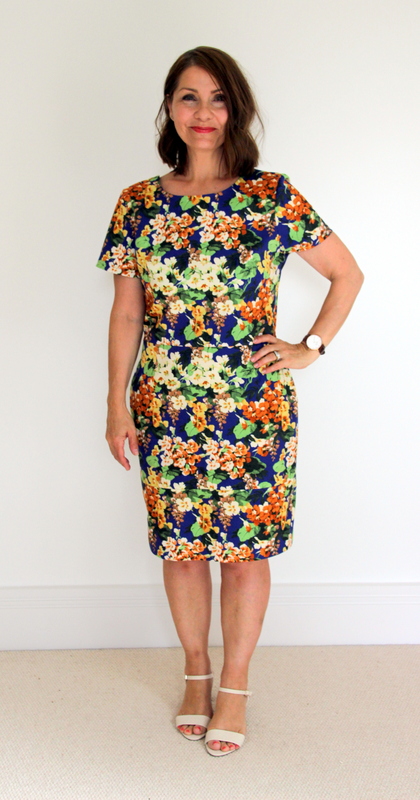 Home / Pattern Reviews / The Shift Dress by The Avid Seamstress. The Shift Dress by The Avid Seamstress. I was so excited when I found out that I had the opportunity to be involved in this dress launch, as I had recently made The Day Dress by The Avid Seamstress and absolutely loved everything about it, so I knew that this would be a great experience too. When you receive your Avid Seamstress pattern, you are receiving so much more than just a pattern. It is clear that each garment has been created with love and attention to detail, so not only do you receive your pattern pieces printed on high quality paper, but you are supplied with helpful information on how to measure yourself correctly, useful sewing term explanations and sensible tips for getting the best out of your sewing experience. The sewing instructions themselves are contained within a lovely booklet accompanied by photographs and drawings of each and every stage. If this is not enough then do head on over to their blog for even more information, tutorials and general sewing love! At this stage I would like to mention my fabric choice. We were lucky enough to be given our choice of fabric from Fabric Godmother. Such a tricky decision, so so many beautiful fabrics to choose from, but in the end I opted for a stunning stretch cotton. It features pretty florals on a royal blue background and was a perfect choice for this dress. The small amount of spandex in the fabric gives it just a little bit of ease (whilst maintaining it’s shape), to ensure a very comfortable fit. Unfortunately the fabric that I used has been so incredibly popular it has now sold out, and Fabric Godmother are unable to get any more back in stock. However they do have a great range of cotton sateen fabrics which would match the fabric type that I used, and would be perfect for your version of The Shift Dress! Suggested fabrics are lightweight to medium weight fabrics – wovens, chambray, crepe, silk, viscose and cottons. Before I cut into my fabric, I made up a quick toile. I almost always do this when making a new pattern, and I think it is especially important to do so with a fitted dress like this. As The Avid Seamstress rightly says, apart from allowing you to make any alterations to the garment, it enables you to ‘road test’ the instructions so that by the time you are making it for real you will have the confidence to enjoy the process. Length is always a concern for me, as I am quite small (5’2″). For this dress I needed to shorten the bodice by 1″, and the skirt by 5″. I marked this out and adjusted this on the pattern pieces before cutting out the fabric. The Shift Dress is a classic design, and a wardrobe staple, but this design gives you more. What I really like is the low back of the dress. Ultra pretty, but not so low that you show your bra strap or feel that it is revealing too much. The low back also makes it possible to open and close your entire zip yourself without any help which is not always possible with a back zip. The back skirt of the dress has flattering waist pleats, follow the instructions precisely and you will find that these line up perfectly with the waist darts on the back bodice. I am all about the pleats at the moment and these are adorable. Back pleats match up with the bodice darts, and the waistband seams match up where the invisible zip is fitted. Taking your time with the invisible zip pays off too. Thorough and helpful instructions will take you through this process and help you achieve great results. You are left with a zip which is truly invisible and your horizontal waist seams should match up perfectly. Such a flattering and feminine design. Another feature of this dress is that the front skirt is made from two pieces which forms a panel at the bottom. Hopefully you can see this from the photo below. This gives you the option of colour blocking the skirt or mixing up your fabrics to create a unique look. You could really have some fun with this. A new challenge for me was the kick pleat at the back of the skirt, as I don’t think I have made a pencil skirt before. This is one of the final parts of making the dress and I was concerned that it might be tricky. I had no need to worry as the written instructions accompanied by photographs ‘held my hand’ through this process and I was chuffed with how it turned out. I should mention that there is the option to include pockets in this dress. On this occasion I decided not to use them, but it is so great to have that choice. They are simple in-seam pockets. I decided to hem the dress by hand as I wanted the hem to be completely invisible. It took no time at all, and just lately I have found a little hand sewing quite relaxing. One of these days I will work out how to use the blind hem option on my sewing machine, as this looks like it could be a game changer! I think this could be the perfect dress to wear as a wedding guest, or to a Summer party. Maybe a Christening outfit or for other occasions when you want to dress to impress. This Autumn our family are celebrating an 80th birthday, and I am thinking this might be the perfect outfit for such a happy family celebration. I could also see this as smart office wear. Made up in a solid, it could showcase a perfect corporate image, don’t you think? Taking it completely in the other direction, if you chose a chambray, you could rock a much more relaxed look. Paired with ankle boots, statement necklace and leather jacket you are good to go! It is certainly a pattern that I will make again, as it is comfortable and fits in all the right places. I also love that when I wear it I feel really confident, and would recommend this pattern to anybody who wants to look ‘put together’ but feel really comfortable at the same time. Aside from myself, the amazing Dominique and Samantha will be sharing their thoughts on this exciting dress, so do head on over to their blogs and check out their makes too! Finally I would like to say a huge thank you to Lisa and all the team at The Avid Seamstress for allowing me to be a part of this launch. It has been a wonderful experience in every way. Fancy winning a bundle of Avid Seamstress sewing patterns? Head on over here to find out all the details on how you can do this! Are you planning to make The Shift Dress? I would love to hear about it. 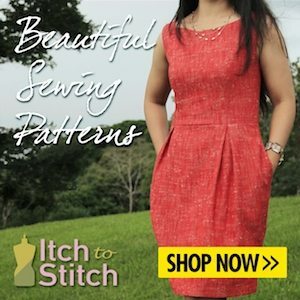 Do you have an event coming up that you plan to make a Shift Dress for? Next post: Dressmaker of the Year – Winner for the ‘Ready to Wear’ Category. A beautiful dress – you look lovely. Your dress is gorgeous! Beautifully made, I love the fabric too. What a great job you’ve done with this dress. It looks lovely and very professional. I love the fabric, and the dress is beautifully made. ‘The Blouse’ from The Avid Seamstress.